A number of leaks over recent times have indicated that Canon is working on a new mirror-less camera. Just the Friday gone we posted an image of what the camera will look like. 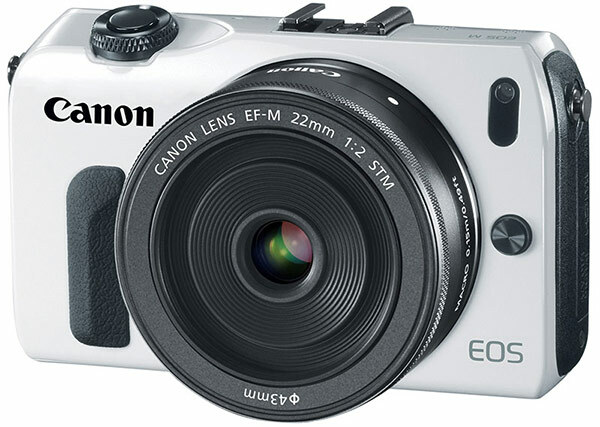 We now hear that the Canon EOS M has been made official by Canon. The new camera is described as being similar to the T4i DSLR from Canon when speaking about the insides. It has an 18 megapixel APS-C sensor along with a DIGIC 5 image processor. The screen on the back measures 3 inches and has a resolution of 1.04MP and is covered with a smudge resistant material. The EOS M weighs 14.2 ounces which includes the mounted EF-M 22mm f/2 lens. The camera is capable of capturing video at 1920 x 1080 at frame rates of 24, 25 or 30 (progressive). It can capture at 4.3 frames per second continuously. Due to the small size of the camera, the EOS M has moved a lot of the physical controls (typically found on the DSLR range) and has moved them to the touchscreen. Full manual controls are available through the touch screen and the device is also compatible with a number of Canon Speedlite flashes. Price wise, Canon are launching the Canon EOS M for $800 in October. This will include the EF-M 22mm f/2 STM kit lens. Other lenses are being made available at launch which are the EF-M 18-55mm f/3.5-5.6 costing $300.